A refreshing face cream can always come in handy. If you would like to know how to make this simple face wash, please continue reading. 1. Peel and then cut up the cucumber and place in a food processor or a juicer until it is juice. 2. 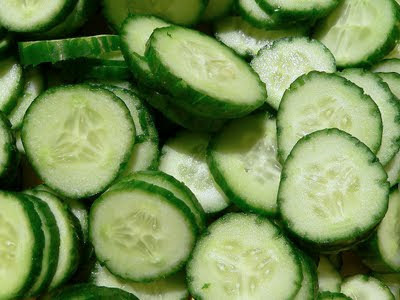 Pour it into a measuring cup and for every 1/2 cup of cucumber juice, put in 1 teaspoon of witch hazel. 3. Stir it and dip on a cotton ball. Wipe it all across your face, mostly on your nose, forehead, and chin. Allow to dry. * This is great for oily or combination skin. * Store in a cool place, like the fridge, in a water bottle or something.